Creating or publishing E-Learning training courses has never been easier with the Innove Solutions Learning Management System (LMS). Whether you are looking to set up E-Learning for your organisation or to sell it on the web, our LMS is the perfect solution for you. By using a responsive, uncluttered design you can publish your content in minutes on the web and link in tests, assessments, certificates and everything you would expect from a state of the art LMS system. Here are some of the features of the LMS with more being added all the time. 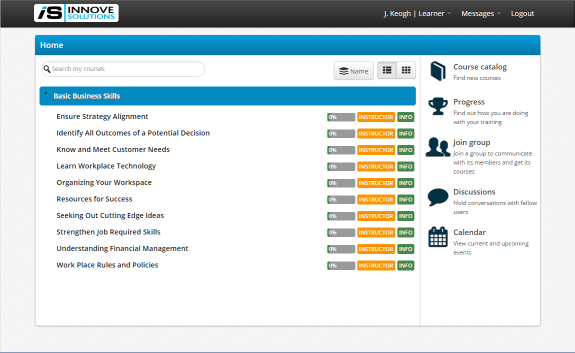 Please get in touch if you would like to arrange a demonstration of the LMS portal.